CAMERON, Ariz–Drought, overpopulation and famine has reportedly led to the tragic death of nearly 200 wild horses in northern Arizona. The Office of the Navajo Nation said in a release 191 feral horses were found dead in a stock pond in Gray Mountain. The cause of death was reportedly due to drought and famine. Like many other Navajo communities, Gray Mountain has faced a growing feral horse problem for years. The occurrence of horses dying at this particular watering pond is not a new but a seasonal issue. There is an estimated amount of 50,000 to 70,000 feral horses on the Navajo Nation. In response to the situation at Gray Mountain, the Office of the President (OPVP) has sent executive staff assistants to assist with coordinating the effort to contain the area and mitigate any resultant environmental or toxic situation. 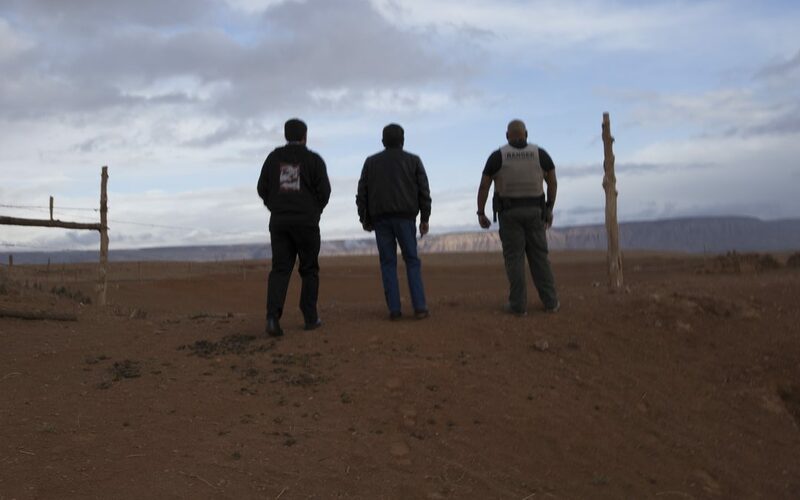 Navajo Nation government officials and members of the Bureau of Indian Affairs (BIA) are on the scene to evaluate the scope of the incident, maintain a site closure and prevent the spread of disease. The area has been fenced off and will be covered permanently. In order to accelerate decomposition, hydrated lime will be spread over the animals before they are buried onsite. Alternative options were considered, including removing the carcasses to bury offsite. However, due to the extent of the problem, burial onsite was determined to be the best solution. According to the Navajo Water Management Branch and Navajo EPA, the plan that is being implemented does not pose a threat to groundwater. In addition to burial, the plan is to fully close off the watering pond and open a new site elsewhere. Cameron Chapter officials are working on several chapter resolutions for an emergency drought declaration, to utilize emergency funding and to withdraw five acres at the site. This is a large problem in any area that has such a large heard of wild horses and burros. It is also the reason why Javalina and mountain lions will converge on ranches looking for water too. Killing them doesn’t justify the means however. In some states residents put out large water troughs they fill with water hauling trucks just like the people out in most rural parts of the Southwest must depend on. It just takes thos who are willing to help out in a situation like this and of cours, money!